Advocacy Update: Combating Suicide, Burn Pits, & More! We’re coming off a fantastic Storm the Hill – of one of the biggest in IAVA’s history! And the DC team continues to carry the momentum that the Stormers brought with them last week. We saw the introduction of a new comprehensive mental health care reform bill, attended a joint DoD/VA symposium on #BurnPits, and added 29 cosponsors on IAVA-backed legislation. First up this week, Legislative Director Tom Porter, joined Sens. 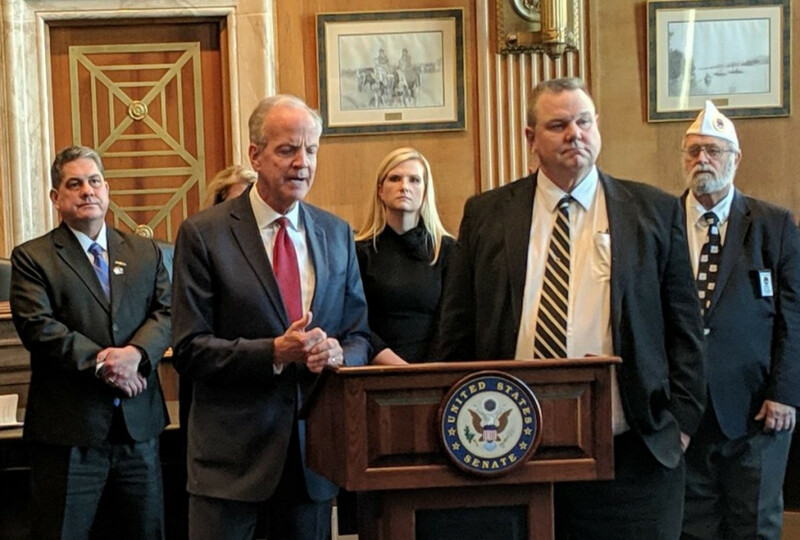 Jon Tester (D-MT) and Jerry Moran (R-KS) as they introduced the Commander John Scott Hannon Veterans Mental Health Care Improvement Act (S. 785), named for a retired US Navy SEAL who sadly died by suicide. This bill will improve mental health care and suicide prevention programs at the VA to include a new VA grant program for communities aimed at finding and treating the 14 of 20 veteran suicides per day who are not under the care of the VA, and a grant program for communities to provide transition assistance. It also increases telehealth, establishes new tracking metrics to ensure that the VA is providing the best possible mental health care possible, and adds new studies to ensure programs are working, such as a study on Vet Centers’ Readjustment Counselors efficacy. This bill is in line with IAVA’s #1 priority, Combating Suicide among Troops and Veterans and is already off to a fast start with 24 original cosponsors! On Thursday, Tom attended and spoke at a joint DoD/VA Symposium on Burn Pits. Tom was joined by several VSO partners including the American Legion, Disabled American Veterans (DAV), Veterans of Foreign Wars (VFW), and Burn Pits 360 to speak with DoD and VA officials about our efforts in this important area. IAVA was also briefed on what DoD and VA are doing to combat the health effects of burn pits in the post-9/11 wars, and how they intend to increase information and treatment available to veterans. 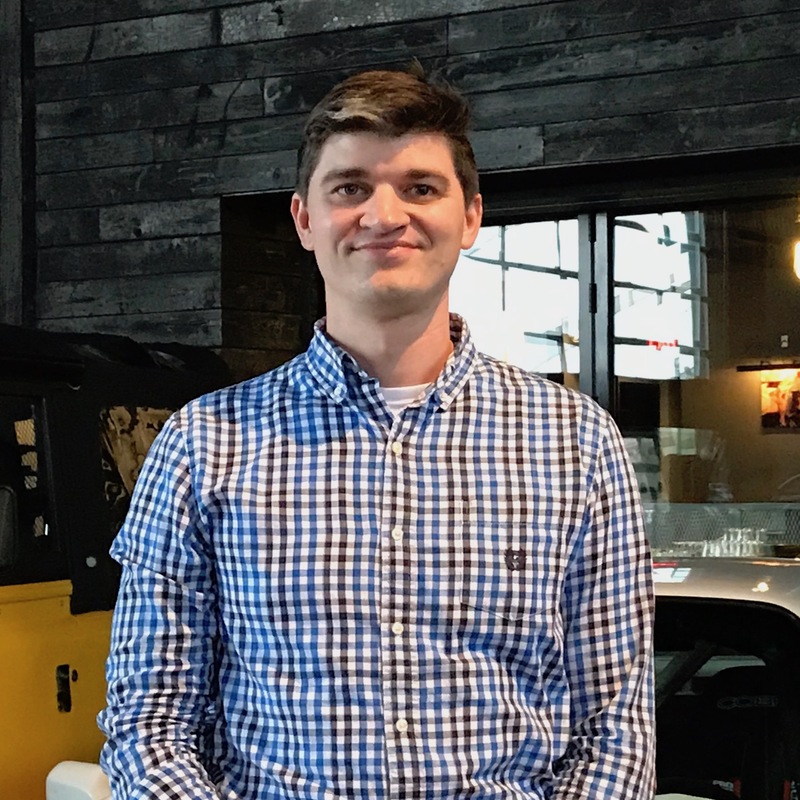 IAVA and our partners are committed to working with the DoD and VA on outreach and education for veterans that were exposed to burn pits and it remains a top issue in IAVA’s #Big6. On Friday, Chief Policy Officer Melissa Bryant met with senior officials at VA headquarters to discuss the ongoing market assessment of best places for veterans to receive their care. This is an important issue as new veterans, who are more mobile than previous generations, enter VA care. IAVA remains committed to ensure the VA is reformed in order to give the best services to all eras of veterans. Check out Melissa’s recap here. Stay tuned in the coming days as IAVA sends members to CNN Presidential Town Halls in Jackson, MS with Elizabeth Warren and Atlanta, GA with John Hickenlooper. If you are in those areas be sure to sign up here for Atlanta, or here for Jackson to attend and ensure veterans’ voices voice is heard throughout the presidential election. The Burn Pits Accountability Act (S. 191/H.R. 663) added an additional 5 cosponsors this week! Huge thanks to Reps. Sean Patrick Maloney (D-NY), Glenn Thompson (R-PA), Greg Steube (R-NY), Jose Serrano (D-NY), and Michael San Nicolas (D-GU) for your critical support of this important piece of bipartisan legislation. The Deborah Sampson Act (S. 514) also added a new Senate cosponsor this week in Sen. Dan Sullivan (R-AK), who is also a leader on the Burn Pits Accountability Act and the VA Medicinal Cannabis Research Act! Thank you, Sen. Sullivan, for all of your support of women veterans and across all of our #Big6 priorities.